Sometimes you need to lie; too much deception, however, will eventually lead to your downfall. 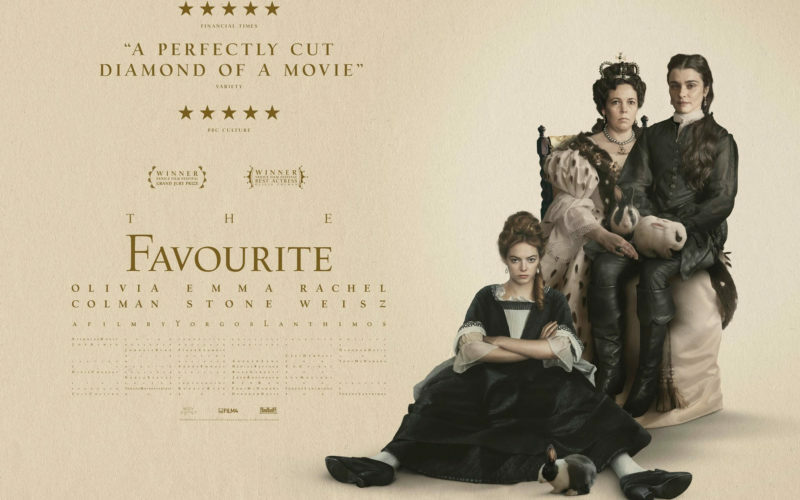 From Greek director Yorgos Lanthimos; screenwriters, Deborah Davis and Tony McNamara; producers, Ceci Dempsey, Ed Guiney, Lee Magiday and Yorgos Lanthimos; and film distributor, Fox Searchlight Pictures, comes “The Favourite” (2018). The film stars Rachel Weisz, of “Disobedience” (2017), as Sarah Churchill; Emma Stone, of “La La Land” (2016), as Abigail Masham; Nicholas Hoult, of “Mad Max Fury Road” (2015), as Robert Harley; and Olivia Colman, of “The Crown” (since 2016), as Queen Anne. Set in the 18th century, a frail Queen Anne (Olivia Colman) rules the lands of England whilst in the midst of a war with the French. Despite the presence of war, the lives of the British royalty remain the same — bird shooting, pineapple eating and duck racing continue onward. 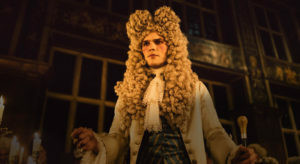 In the middle of all this, Queen Anne’s close friend and advisor, Sarah Churchill (Rachel Weisz), Duchess of Marlborough, pulls the strings of politics by managing all the responsibilities of the Queen who’s basically turned the other cheek from her obligations. When Sarah employs her cousin, Abigail (Emma Stone), who has fallen on hard times, Abigail swiftly endeavors to benefit from her new situation, hoping that her noble identity will be restored by her proximity to the Queen. One of the most intriguing and beautifully done films of the year, “The Favourite” (2018) does almost everything right, from the fantastic performances, to the captivating cinematography by Robbie Ryan, to the extravagant period costuming by Sandy Powell. The masterful writing by Deborah Davis and Tony McNamara deserves a round of applause, every piece of dialogue feeling natural and you are always on the edge of your seat, wondering what will happen next. 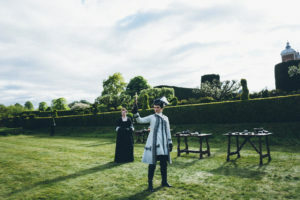 Furthermore, “The Favourite” does well by avoiding cinematic clichés. For the most part, the film treads new ground, with each action and character decision being unpredictable. “The Favourite” does a wonderful job of fleshing out each individual character, so that the audience better understands their motivations and decisions. The characters feel like real people, not fictionalized figures in a fictionalized story. The problems I have with the film are minor, the first (and only) having to do with the historical inaccuracies employed for the sake of the storyline. 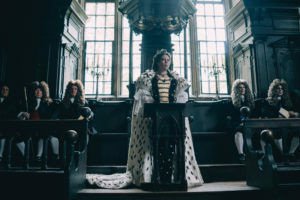 The film touches on the supposed lesbian relationship between Queen Anne and other characters, a storyline which draws from Parliamentary gossip at the time. While rumors spread around the Queen being a lesbian, there is no total proof. While it works narratively, it doesn’t seem right to fictionalize a person in history in any way without factual proof to support your claims. Disregarding the historical inaccuracies, “The Favourite” (2018) is a real marvel of modern cinema, as it elevates the heights of exploring love, lies, and deception in a way I can’t recall in recent cinematic memory. I would personally rate the film at 97%. Go watch this as I guarantee you will see all different elements from the “The Favourite” (2018) being nominated in multiple Academy Award categories. Furthermore, the film also teaches a powerful lesson we would all be better off knowing: too much deception will eventually result in one’s downfall!